I am criminal defense and matrimonial and family lawyer Timothy J. Hennessy. From my office in Williamsville, I serve individuals and families across the Buffalo metropolitan area. A native of the area, I graduated from Thomas M. Cooley Law School in Lansing, Michigan, in 2008. Following graduation, I came home to western New York to open my law firm. From the very beginning, I have built my practice on the principles of providing exceptional legal representation and client service. As your attorney, you can take heart knowing I will always put your needs first. 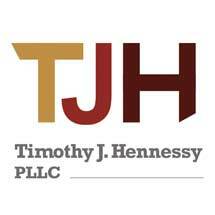 My law firm, the Timothy J. Hennessy, PLLC, helps people facing some of the biggest challenges life has to offer. In my matrimonial and family practice, I take on a broad range of issues, including divorce, child custody and child support issues. In my criminal practice, I defend people facing all types of allegations, including DWI, drugs and other serious charges. My approach in every case is client-focused and results-oriented. I work closely with each of my clients to fully understand their legal issue and how it will impact their life. At the same time, I am a strong advocate for my clients' needs, whether in negotiations or in the courtroom. By focusing on my clients and their needs, I have been able to help people from all walks of life effectively resolve their legal challenges. Call 716-276-0980 to schedule a consultation. I take pride in providing comprehensive representation that shifts the burden from your shoulders to mine. My firm handles a wide array of domestic relations matters. My firm handles all felonies and misdemeanors in the New York state courts.